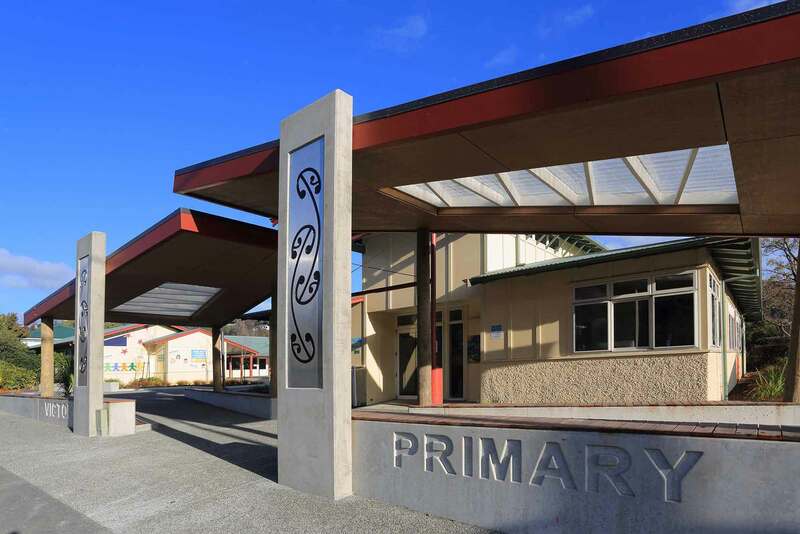 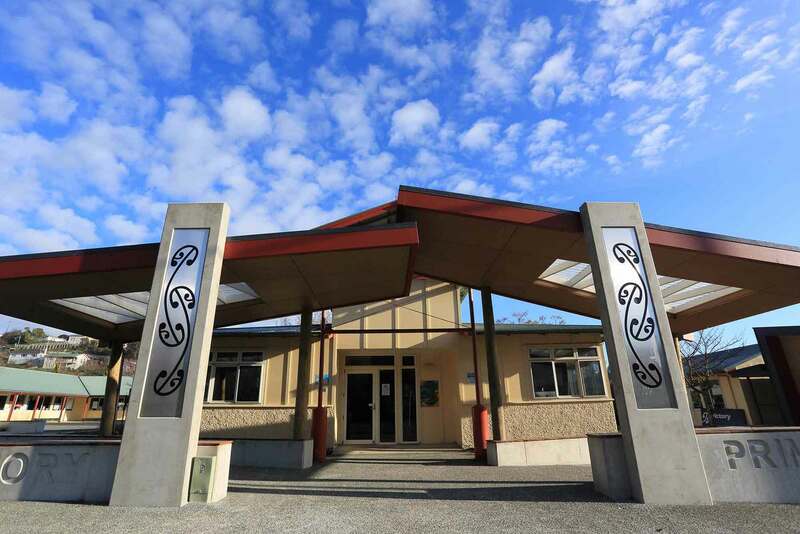 Victory Primary School’s approach to learning and community has become an example and inspiration to schools throughout New Zealand and is at the heart of the positive growth of the wider Victory community where Brendon was living at the time. 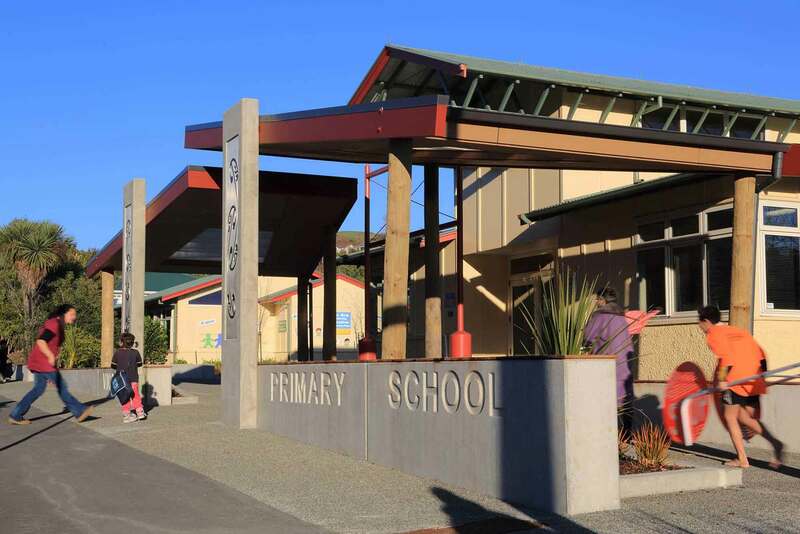 The redesign of the main school entrance and street interface was one of several projects that were to transform the school’s built environment to better represent its strong and unique culture. 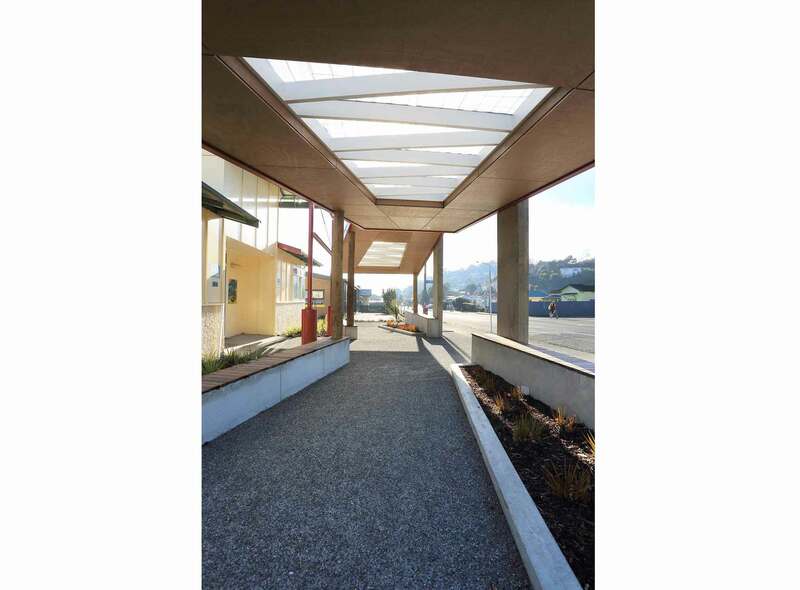 A palette of honest natural materials, colours and vegetation was established including concrete, stained plywood, grey Colorsteel, unpainted timber poles, and specific cultural patterns and colours.